Taffy may be the quintessential old-time candy. Conjuring images of the Atlantic City shore and boardwalk barkers sporting seersucker suits, Taffy has carved an indelible spot in place and time. And unlike many (most?) other candies from a bygone era, what makes Taffy truly timeless is that it actually tastes delicious to a modern palate. Strong personal opinion here - but long past is the heyday for those goos and chews mashed together from every possible combination and permutation of Molasses, Peanuts, Coconut and Marshmallow. And Necco wafers are just plain wrong. At its core, Taffy is just a variety of Pulled Sugar. 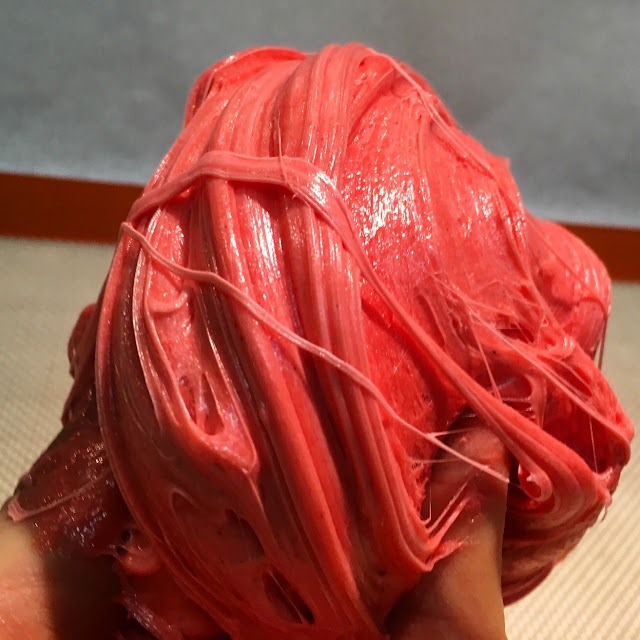 And while the recipe contains a few additional ingredients for taste and texture, the biggest difference between chewy Taffy and hard Ribbon Candy is the temperature to which the Sugar is cooked. 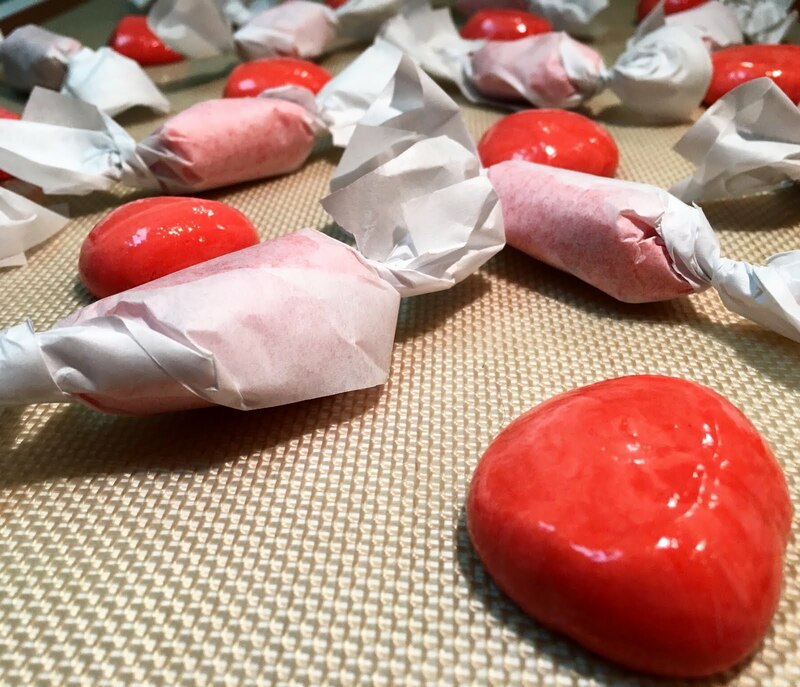 With Taffy, rather than heat a sticky brew of ingredients to the upper range of the Stages of Sugar, most recipes target no higher than 270 degrees Fahrenheit (132 degrees Celsius), which is the beginning of the Soft Crack Stage. The goal is to create a candy that is chewy, not brittle. The other existential imperative for Taffy is the pulling process. As molten Taffy cools, it is aerated through an exhausting series of folds and stretches (something made infinitely easier by machines). The air that is introduced through this process produces Taffy's signature texture. As for "Salt Water" Taffy, don't be fooled. While the recipe for Taffy contains both Salt and Water, there's no record of any recipe being made with water from the ocean. The name is more than likely a marketing relic: something to reinforce Taffy's association with summers on the shore. 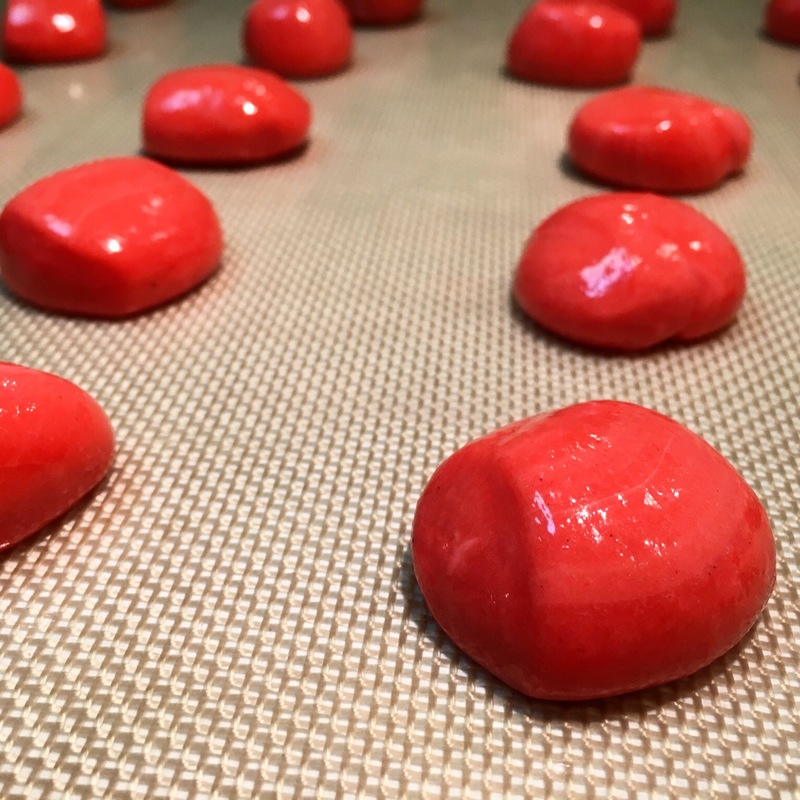 When working with Pulled Sugar of any variety, there is a constant fear of recrystallization, which can destroy a batch of candy. How? ...by making the candy gritty in texture and cloudy in appearance. When White Granulated Sugar (i.e. Sucrose) is dissolved in a liquid and then heated, the solution becomes increasingly saturated as the water content evaporates. Since Sucrose molecules naturally want to bind together, a highly saturated solution of Sucrose is at risk of recrystallizing - reforming into those small white granules we recognize as table Sugar. Make sure that your tools are free of any debris. This includes tiny granules of Sugar that may be stuck to the side of the pot. Even the tiniest particles can trigger a recrystallization reaction. Once you begin heating the Sugar, do not stir the mixture. Agitation accelerates recrystallization. Only when you are making Caramel, which requires heating Sugar so hot that it decomposes, is it okay to stir. Add inhibitors. Fats, like Butter, interfere with Sucrose molecules' ability to recrystallize. Inhibitors physically get in the way. Add an Acid. Sucrose can be broken down into Fructose and Glucose, two simpler forms of Sugar that do not share Sucrose's recrystallization characteristics. By combining Sucrose with an Acid (e.g. Lemon Juice, White Vinegar, Cream of Tartar, etc. ), you can convert Sucrose into those component parts. Whats more, these simple Sugars also act as inhibitors. Use a non-Sucrose Sugar. Simply starting with a non-Sucrose Sugar, such as Corn Syrup (i.e. mostly Glucose), reduces the risk of recrystallization. 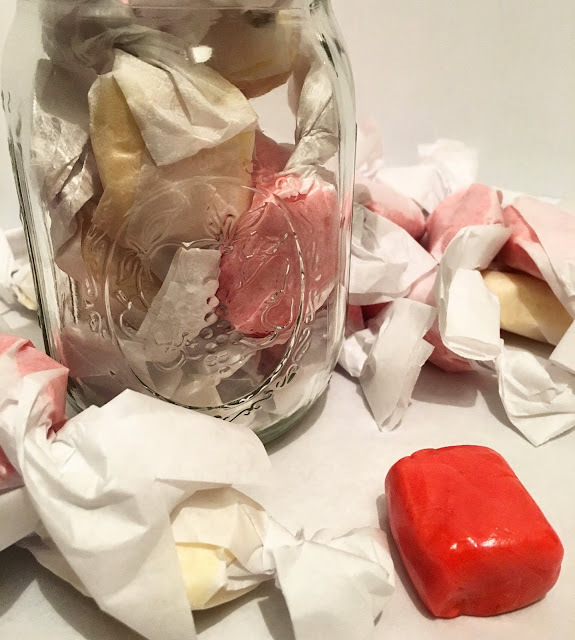 If Taffy were just Pulled Sugar by another name, it would be rather unremarkable (and certainly not worthy of a blog post). All recipes includes a few additional ingredients, which alter the taste and texture, making Taffy more than just a hard and sweet mass. White, unflavored Sugar Chews aren't terribly appetizing (Marshmallows excluded... we love Marshmallow). 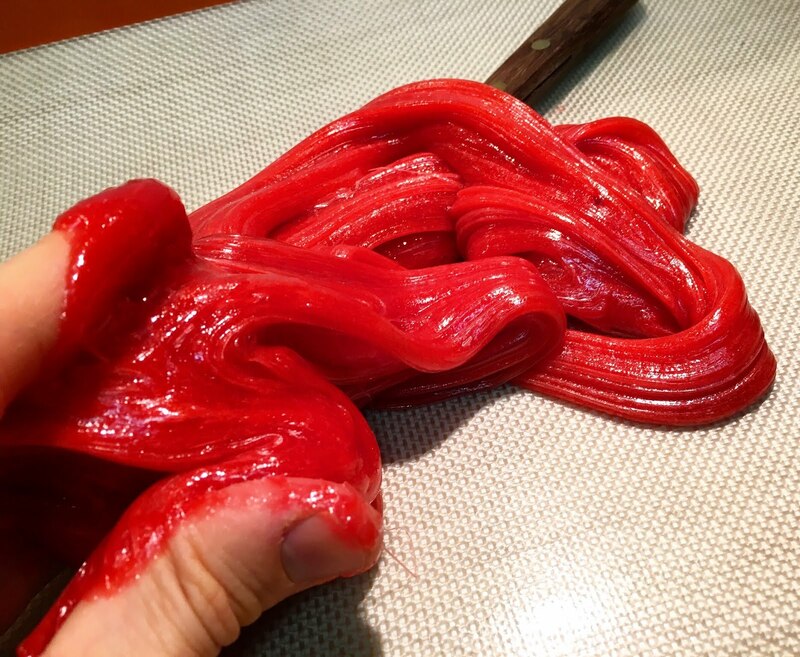 Flavor and coloring agents further transform the Taffy. Both are usually added to the hot Sugar mixture at the end of the cooking process. Prolonged heat can ruin the taste of certain flavoring agents and some food coloring is altered under high heat. Extracts (e.g. Vanilla, Peppermint, Lemon) are commonly used as flavoring agents, but even when they are naturally derived, they can taste somewhat synthetic. I've come to prefer unsweetened juice drink powder (yep... Kool-Aid). It's inexpensive, available in a wide range of flavors, already colored and easily found in every grocery store. While the showy process of pulling Taffy may seem like it is the key to creating the final product, it is the proper cooking of the Sugar (specifically the heating) that is most critical. Success depends on understanding the Stages of Sugar. Some recipes call for heating the ingredients to 270 degrees Fahrenheit (132 degrees Celsius), which is the beginning of the Soft Crack Stage. Others say 250 degrees Fahrenheit (121 degrees Celsius), which marks the Hard-Ball Stage. Even though there is a mere 20 degree difference between the stages, varying the temperature has a dramatic effect on the final product. While more traditional recipes prescribe 270 degrees Fahrenheit, as the name Soft Crack Stage clearly implies, the resulting product is very hard and borders on brittle - not at all the softer chew I prefer. After several rounds of tests, I would save the Soft Crack Stage for hard candies. Removing the mixture from the heat at 255 degrees Fahrenheit (124 degrees Celsius) results in a much softer, chewy Taffy. 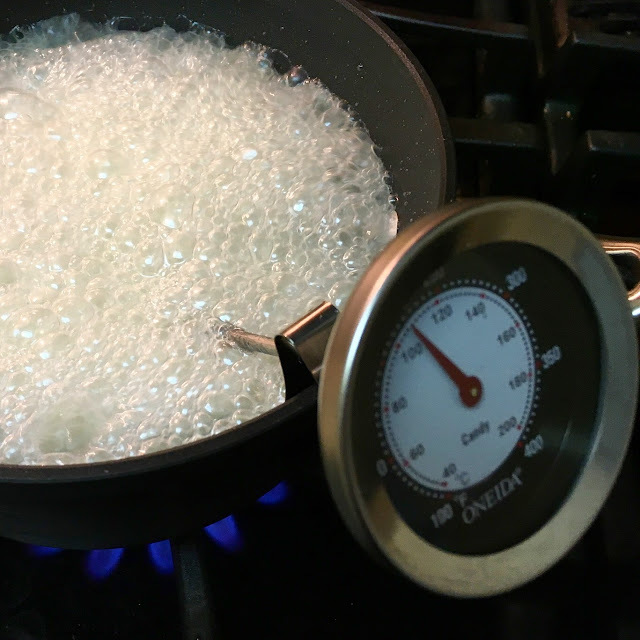 Even with a watchful eye and properly calibrated equipment, it is easy to overcook Taffy. Always remove a pot from the heat just before the target temperature is reached. The mixture will continue to cook from the residual heat of the pot. 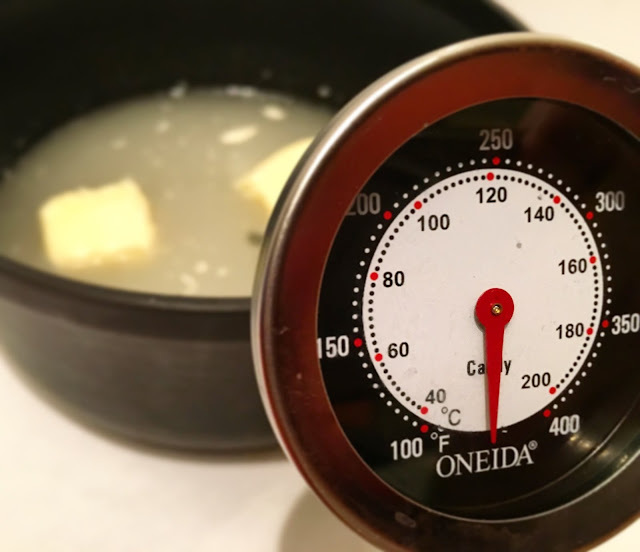 The risk of overcooking can be further mitigated by boiling the mixture over a lower heat. By heating the Sugar more slowly, it is less likely that you will exceed your target temperature before you have time to act. Lastly, the pot can be placed in an ice bath to stop the cooking process. When the Sugar mixture reaches the target temperature and the flavor and color agents are added, the Taffy is poured onto a silpat or well oiled sheet tray. What begins as a liquid, molten mess will thicken as it cools. Once the mixture is cool enough to touch, it's time to get pulling. You cannot be too careful when working with hot Sugar. The potential for burns is extreme, so do not rush to grab the Taffy before it is safe. 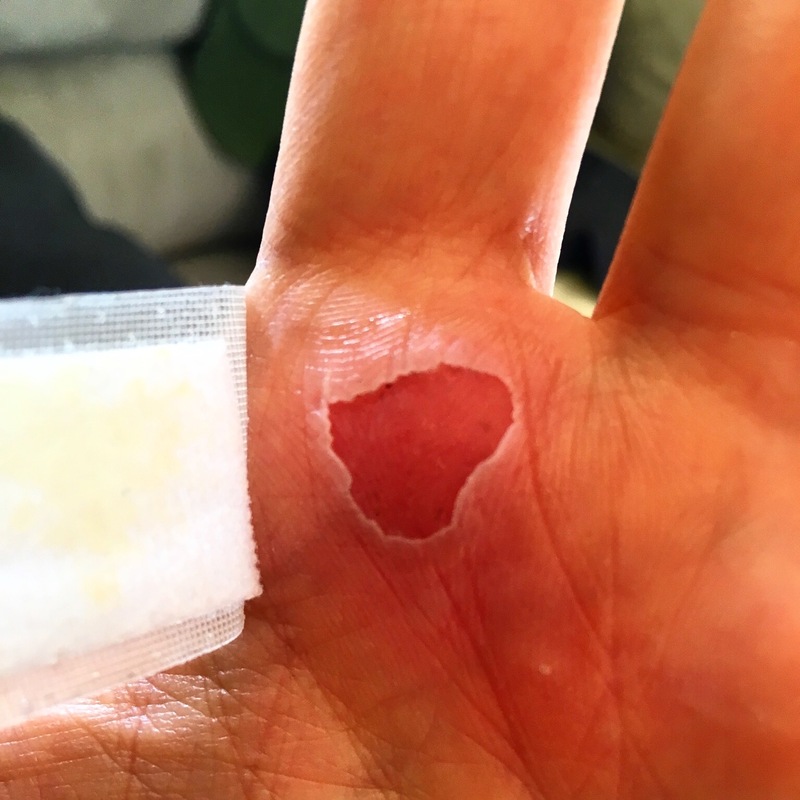 Some people wear gloves to protect against burns (although be careful, as some gloves stick to Pulled Sugar). Others recommend coating your hands with Butter to prevent the Taffy from sticking (particularly useful for Taffy cooked to the lower end of the 250-270 degree Fahrenheit range, which will be stickier). Taffy pulling is self explanatory. While the Taffy is still hot (but not dangerously so) it is repeatedly stretched and looped over itself, each pass trapping little pockets of air. The aerating process introduces thousands (probably millions) of tiny air bubbles, which alter the look and texture of the candy. It also helps too accelerate the cooling process. Just keep pulling the Taffy until your arms are exhausted and the candy has lightened in color and noticeably thickened. Once the Taffy is well aerated and cooled, it can be portioned into individual bites. It is easiest to roll the Taffy into a snake and then cut individual pieces with kitchen sheers or a chef's knife. Spraying your equipment with nonstick spray is recommend. And since the individual pieces will stick together after they are cut, immediately wrap them in parchment or wax paper. Taffy is best stored individually wrapped in an airtight container at room temperature. The pieces of Taffy will keep for a couple of months but will become harder with time. Citric Acid is readily available on-line and is very useful to keep in the kitchen. However, you can substitute 1 Tsp of White Vinegar. Kool-Aid is a great option, but there are a number of commercially available powdered concentrates. Flavor intensity varies, so some experimentation may be necessary. Make sure to use Sugar-Free powders that contain only the pure flavoring ingredients. The Taffy will have enough Sugar. 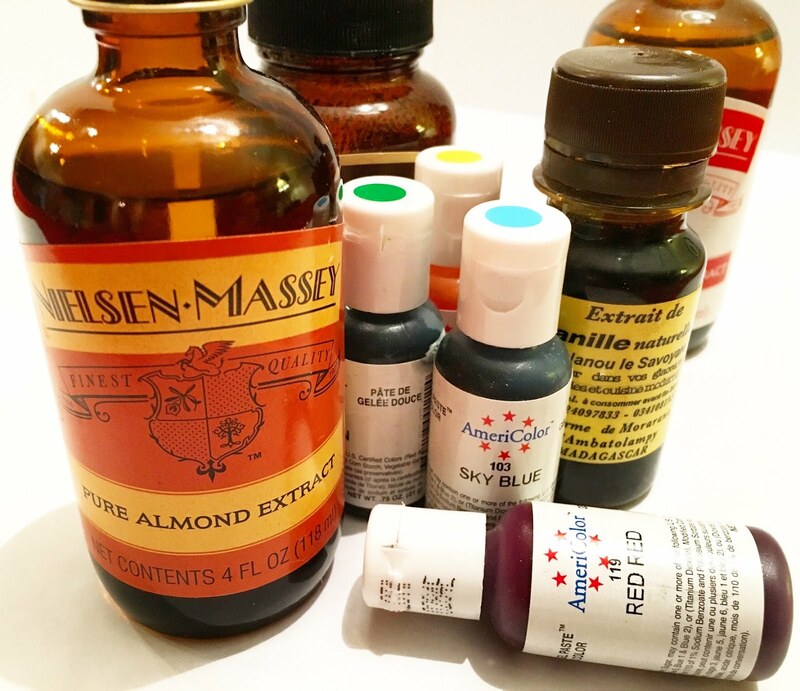 As an alternative, 1 Tsp of Extracts such as Vanilla, Orange and Peppermint are options. 1. Line a sheet tray with a silpat or coat a sheet tray with Butter. This is where you will pour the hot Taffy to set and cool. Cut individual pieces of parchment or wax paper to wrap the final pieces of Taffy. 2. Combine the Sugar, Corn Starch, Citric Acid (or White Vinegar) and Water in a medium pot and stir the mixture until the ingredients are well combined. Add the Corn Syrup, Butter and Salt. Place the pot over medium heat and bring it to a boil. Do not stir. 3. Continue heating the ingredients to the desired target temperature (between 250 degrees Fahrenheit / 121 degrees Celsius and 270 degrees Fahrenheit / 132 degrees Celsius). 255 degrees Fahrenheit (123 degrees Celsius) is recommended. Target 250 degrees Fahrenheit for softer Taffy or 270 degrees Fahrenheit for firmer Taffy. As soon as the temperature is reached, remove the pot from the heat. Chef's Note: The Taffy is easy to overcook. To prevent overcooking, cook the mixture slowly over a lower heat, remove the pot from the heat when the Taffy is still a few degrees below the target temperature, and transfer the pot to an ice bath to halt the cooking process. 4. Quickly stir in the Flavoring and Coloring Agents. 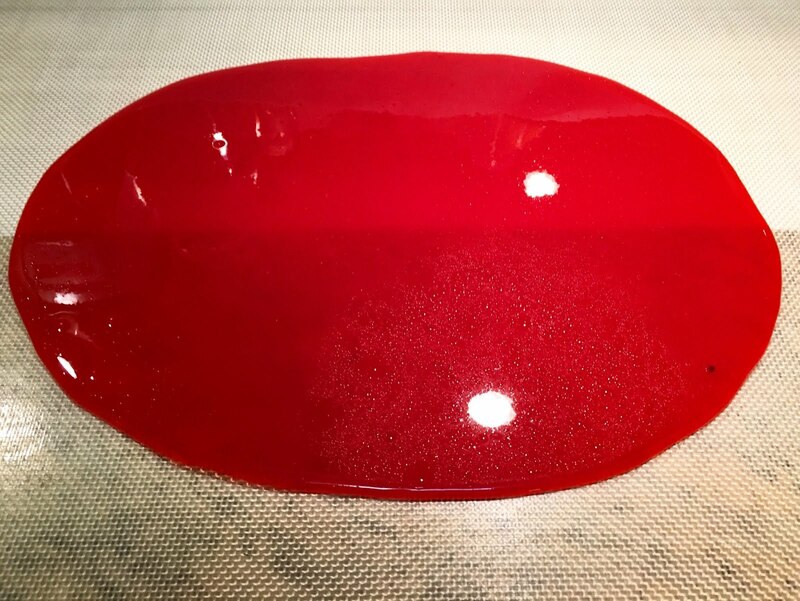 When fully incorporated, pour the hot Taffy onto the silpat or prepared sheet tray to cool. 5. As soon as the Taffy is cool enough to handle, collect it and form it into a rope. Aerate the Taffy by repeatedly pulling and folding the rope of Taffy until it lightens in color and becomes firmer. This process may take 15-30 minutes. Taffy cooked to a lower temperature will take longer to pull. When the Taffy is sufficiently aerated, roll it into a smooth rope and portion it into individual bite-sized pieces using kitchen sheers or a chef's knife that have been prepared with a nonstick spray. Wrap the individual pieces of Taffy in pieces of parchment or wax paper. Chef's Note: Do not allow the Taffy to become too cool before you start pulling it. You may not have enough time to properly aerate the Taffy before it becomes too firm. - The Taffy is best stored individually wrapped in an airtight container at room temperature. The pieces of Taffy will keep for a couple of months but will become harder with time.